Sept. 4, 2018 - After signing a contract extension, Pacers head coach Nate McMillan talked to Pacers.com about his time with the team and dealing with elevated expectations moving forward. Nate McMillan and the other kids in his Raleigh apartment complex showed some ingenuity to make a second basketball hoop so they could play full court games. See more stories about the Pacers' childhood basketball memories at Pacers.com/MyHomeCourt. The best NBA coaches delicately walk the fine lines of their profession, hardwood Wallendas who avoid tipping too far in any direction. They must be authoritative without being militaristic. They must be approachable and communicative without being soft. They must be confident, without showing too much ego. They must employ effective strategy without micromanaging. They also have to be chameleons, able to adapt to their talent, their circumstances and their era, and if they manage to do all this and be blessed with sufficient talent, they get to re-sign instead of resign. Nate McMillan has shown enough of the necessary qualities in the necessary degree as an NBA head coach to boast a career that has lasted 14 seasons. 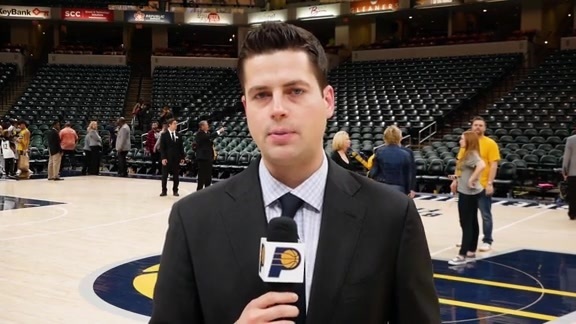 It likely will last at least a few more now that he's officially re-signed with the Pacers, as was announced on Tuesday when the extension President of Basketball Operations Kevin Pritchard brought up in the season-ending press conference became reality. A year ago at this time, many Pacers fans no doubt would have preferred that he resign, as in quit. His first season as the franchise's head coach had resulted in 42 victories and a first-round sweep courtesy of LeBron James' long broom. His second season, however, reminded of the things out of a coach's control - such as leadership in the locker room and consistent energy on the court. 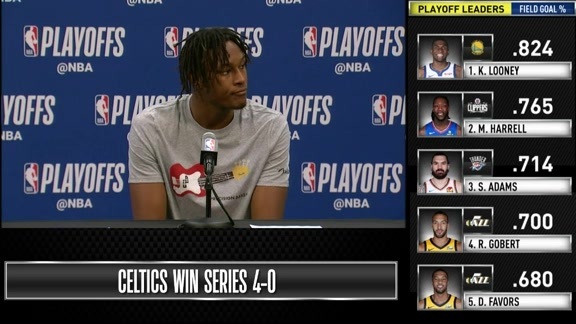 Given a more cohesive and driven group of players, the Pacers won 48 games and took James and the Cavaliers to the limit in the playoffs. They enter the upcoming season with legitimate hopes of winning more than 50 games. 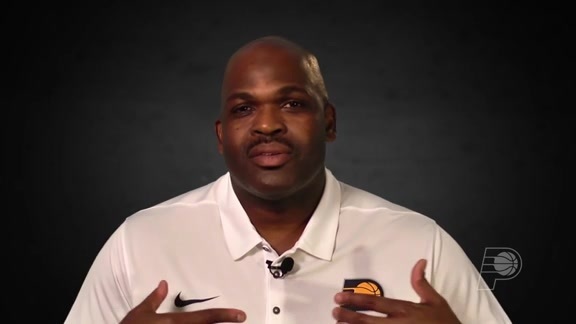 McMillan was one of eight men to receive Coach of the Year votes from his league counterparts last season, a logical response to a season in which the Pacers won about 15 more games than generally expected. The expectations will be greater this season, but McMillan has experienced them before. As a player, he was a member of the Seattle team that reached the NBA Finals in 1996. 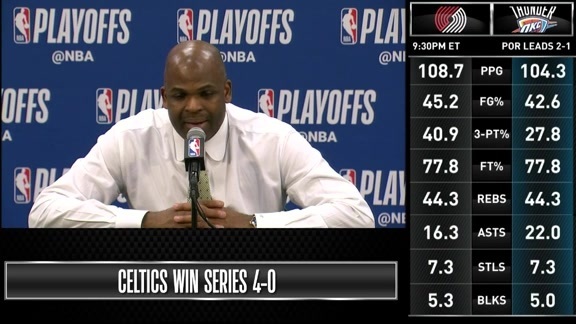 As a coach, three of his teams have won 50 or more games. 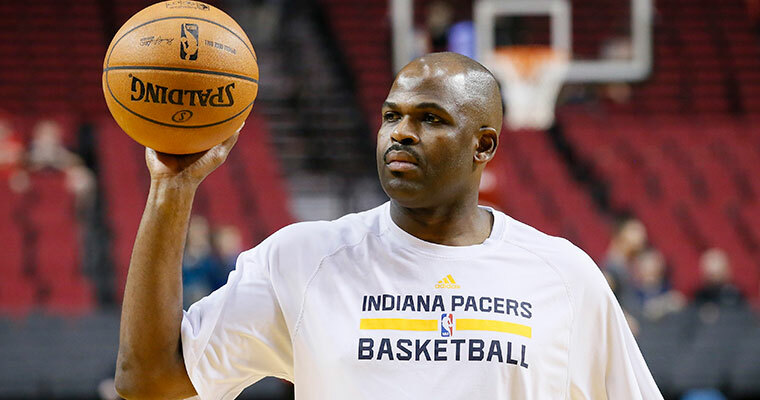 McMillan becomes just the second coach in the Pacers' NBA history to get a second contract or extension. Frank Vogel lasted 5 ½ seasons. None of the other NBA Pacers' coaches have lasted more than four. McMillan seems a strong candidate to surpass that threshold. Aside from the most important ingredient, promising talent, he has a personality that won't wear on the players over time, yet will hold them accountable. "I like his demeanor," Larry Bird said when announcing McMillan's selection as head coach two year ago. "I like the old school. I like players to be held accountable. I like structure. I like a lot of things that Nate brings to the table." McMillan often gives the impression of a bland, disengaged coach. He's calm and controversy-free in his conversations with the media, and he's a passive presence on the sidelines with arms folded across his chest and only rare hints of a facial expression. He doesn't rant, he doesn't rave, he doesn't constantly ride the officials and he doesn't take verbal shots at his players. His players know a different coach, though, given what they experience in timeout huddles and practice. "Y'all see a calm demeanor," Thad Young said, laughing, late in the season. "There's some timeouts you've got to pay attention to. "He comes in and yells at us and gets us back (to basics) like a coach should do. He's not afraid to single one guy out, he's not afraid to point out certain things one guy's not doing. It's not to hurt him, it's to make us better. He's challenged us to come and get better and do our job to the best of our abilities and to remain focused and calm." McMillan has played for and worked under a variety of coaches in his career, but perhaps none had a greater impact on him than the youth league coach back in Raleigh, N.C. McMillan played on a city championship team as a nine-year-old, and the experience has never left him. 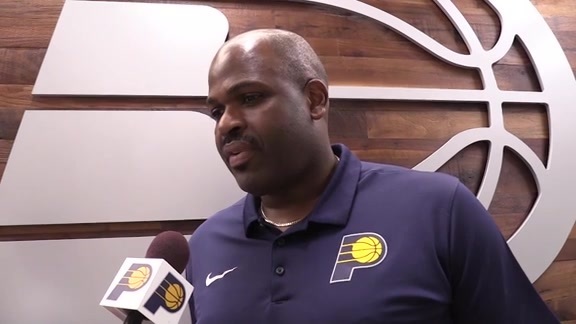 "Nobody came close to beating us," McMillan told a local group of youth league coaches before his first season as the Pacers' head coach. "There was discipline, you showed up on time, you practiced hard, you played the right way. If you didn't, you didn't play. "That's how I will continue to do things to this day. It's not going to be based on the star player. We're going to do things the right way, we're going to show up on time, we're going to work hard, we're going to play together. All of that is going to be expected of you. If not, we'll find someone to step in and play for you." If there's a formula for coaching success, at any level, it lies among those words.